If you have a business or an organization, we offer a free coffee chat. Dawn will come to your office, or meet you by videoconference, for a casual discussion on various legal and financial topics. It’s easy! Let us know the topic you are interested in, then schedule the day and time for us to chat. No cost, no obligation. We’ll bring the coffee, or we can drink it together online! We can chat about such issues as the price of debt in the workplace, student loan basics, veteran’s issues, supporting employees on a debt free journey, federal laws related to consumer debt collections and credit reporting. Something else on your mind? Let us know! We are here to support business. We want to serve the business community. And, we love to chat. 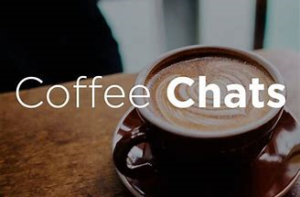 To schedule a one hour coffee chat for your business or organization, please use the contact-us page and include, “Coffee Chat” in the subject line with a contact number in your message. If we are going to meet in person, please provide a rough number of people expected. Especially if we bring the joe. We typically like to visit around 9am, but can be flexible.